Order your E and M Brixxs Pen Holder / Organizer today from FahrneysPens.com. Fine Pens, Refills & Luxurious Gifts – great prices & fast shipping. 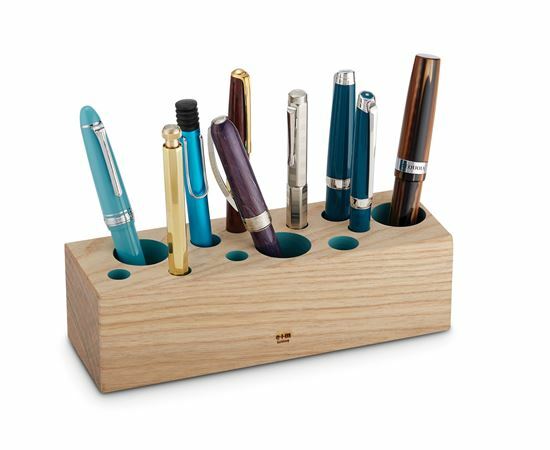 Crafted in Germany using traditional wood-turning methods and FSC®-certified sustainable woods, The Brixxs Dots Pen Organizer is a cool organizer for the office or home. 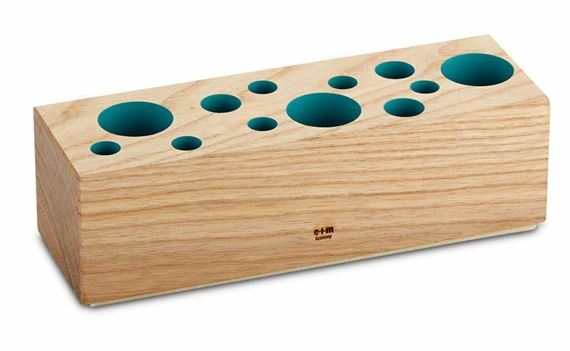 Made of native ash wood, the Brixx featured drilled holes in various sizes, painted in ice blue, orange or white. A great way to tidy up your writing instruments, rulers, brushes and much more. Measures 8" x 2 1/2" x 2 1/4".